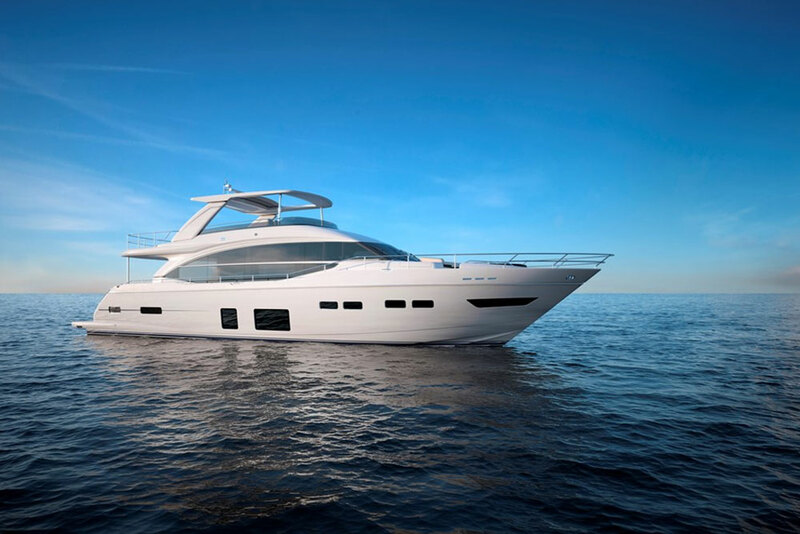 The 2017 Princess V58 Deck Saloon features a unique “flexible enclosed deck” that lets you control the climate, in the great outdoors. 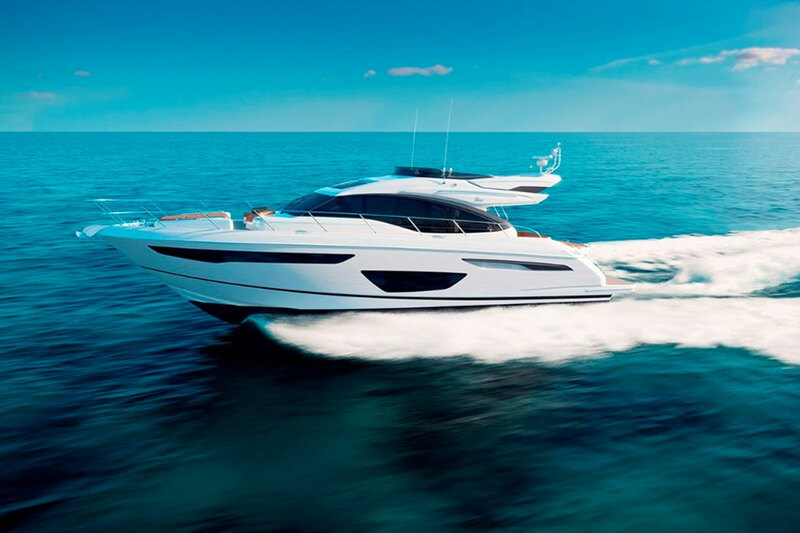 The Princess V58 is now available in two very different editions: the V58 Open, and the all-new 2017 V58 Deck Saloon. 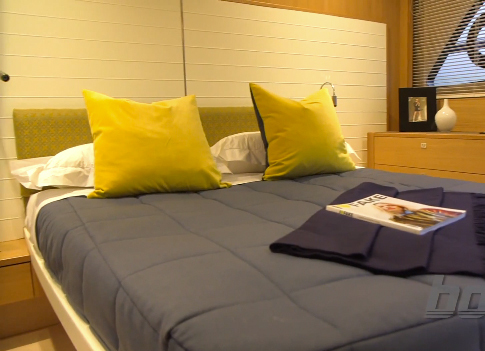 Our UK reviewer Alex Smith found the new Deck Saloon model at the Southampton boat show, and jumped aboard for a quick tour. What this design accomplishes is what so many cruisers long for: fresh breezes and sunshine, but the ability to control the climate at the same time. And thanks to those big sliding doors and the monstrous sunroof, you really can have the best of both worlds. Still, even knowing this there’s a lot more prospective boat shoppers need to examine about the V58. Performance, for example, is significantly peppier than most competitors in this size range. 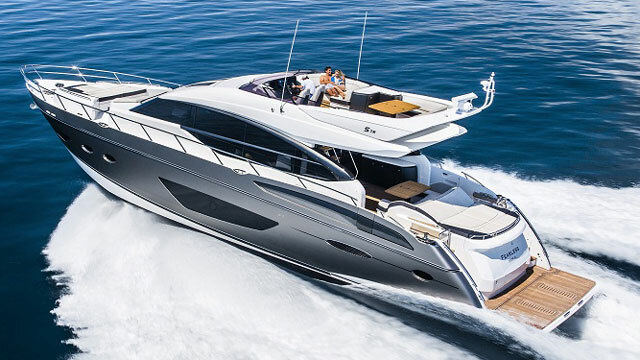 Thanks to a pair of Volvo Penta D13 800 HP engines, this boat sees speeds in the 40 MPH range. Upgrade to the 900 HP iron horses, and see top-end tick up a few more MPH. And note that the V58 has a three stateroom arrangement, along with the option for crew’s quarters (including a private head) aft. Finally, remember that this is a Princess. 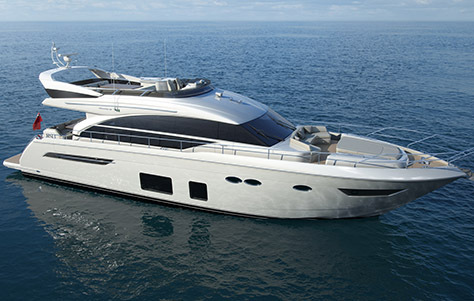 The V58 Deck Saloon, just like the larger Princess S72, the 75 Motor Yacht, and the 30M, is built at Princess Yachts’ 1.1 million square-foot shipyard in Plymouth, England. Over 2,000 people work here to ensure that each and every detail in each and every Princess is attended to with care and quality in mind. Speaking of quality: Princess hulls are resin-infused, which means they’re as strong as possible while also being as light as possible. 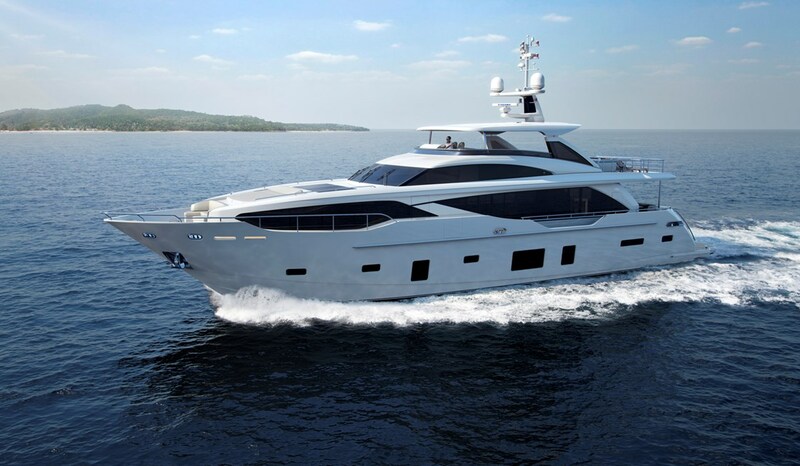 You’ll find teak tables and swim platforms, glossy oak furniture, gas-assist struts on hatches, LED lighting throughout, and inner-spring mattresses in the berths. For more information, visit Princess.